Over the years I’ve lived in Victoria, I’ve compiled a list of my favourite restaurants. From Sauce and Il Terrazzo to King Sejong and everything in between, Victoria has surprised me with some great restaurants that serve my favourite cuisines. Along with new restaurants, I also made other surprising culinary discoveries in the city. Even in a smaller city, you can find some amazing drinks, liqueurs and culinary dishes in places that you never expected. As mint is one of my favourite flavours, I couldn’t wait to try it. If you’ve never tried Giffard’s Menthe Pastille, I highly recommend it. As a mint liqueur, it was silky and refreshing and it definitely exceeded my expectations. It’s smooth and the mint flavour isn’t too over powering. It’s great on its own and to spice up coffee or hot chocolate. I’ve tried many burgers and sliders in my time; made with all different kinds of meat, including wild game as well as vegetarian and tofu burgers. 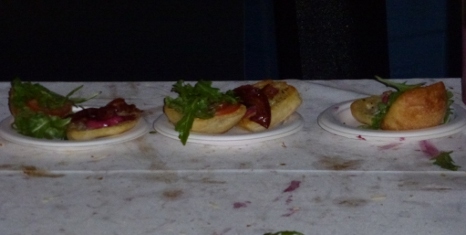 But this was the first time I’d had duck, smoked duck at that, in a slider. The smokiness and saltiness of the duck paired with the sweetness of the tomato was a perfect match. It was so delicious I went back for seconds. It’s definitely a flavour of slider that you should grab and try ASAP! I’ve been a fan of ice wine ever since I tried my first sip. I love to pair the sweet taste and tart finish with my favourite desserts, but I’ve never tried to make cocktail with it before. 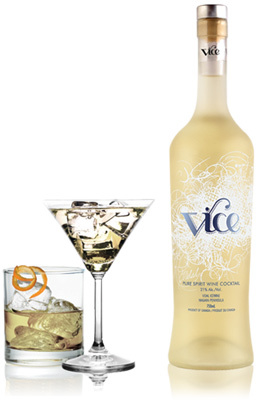 Vice Vodka Ice Wine Martini was the first time I’d ever heard of a spirit being mixed with wine into a cocktail and the end result was fantastic. The vodka balanced out the sweetness in the wine perfectly. It’s definitely one of my go-to drinks for appetizers, dinner and dessert. I’ve always loved the fragrance and flavour of lemons in my baking, cooking and my cocktails as well. 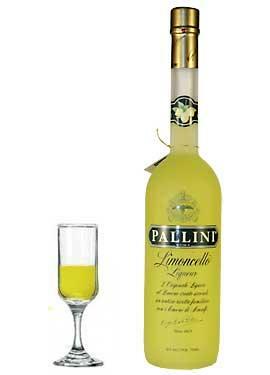 I wanted to try a lemon based liqueur and this one from Italy was exactly what I was looking for. Tart and smooth, the citrus flavour was strong but not overwhelming. I’d recommend trying a sip and experiencing the lemon flavour for yourself. 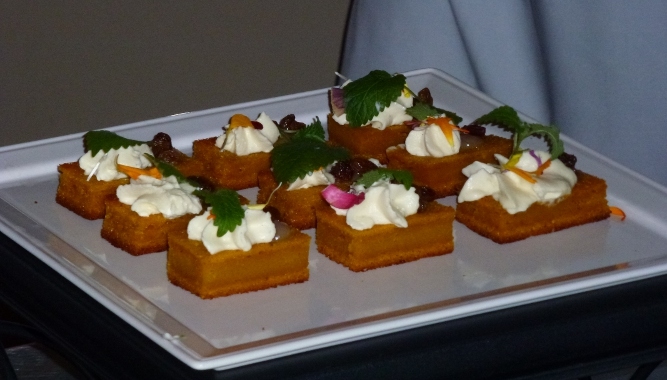 5) Carrot Cake with White Chocolate and Mascarpone Mousse and Grand Marnier soaked Sultanas. I’ve baked and eaten many carrot cakes in the past, but for a bite-size dessert, this particular carrot cake was one of the best ones I’ve had yet. It could’ve been the soft texture paired with the white chocolate mascarpone mousse. Or, it could’ve been the extra hint of orange liqueur coming through in the Grand Marnier soaked sultana raisins. All I know is it definitely worked. Now I know I said that these were the top 5 dishes and liqueurs that I’ve tasted in Victoria, NOT in a restaurant. Truthfully, no restaurant I’ve been to has given me the opportunity to try so many different dishes, liqueurs and drinks. You can find similar dishes at certain restaurants, but nothing exactly like what I was able to taste. So where can you find rare and different liqueurs, cocktails and dishes in Victoria? At the annual Art of the Cocktail fundraiser for the Victoria Film Festival, of course, which is the one event I always make sure to attend every year. Pick up your glass and buy a ticket for Art of the Cocktail 2013 to be held this October. After all, you might be missing out on a rare cocktail, liqueur or dish that could become your new favourite. PS. If you missed my last post, don’t worry. Find the Top 5 Marketing Resolutions Every Business Should Make for 2013 here. As a semi-frequent commuter between Vancouver and Victoria, I’d somewhat resigned myself to living with long lineups and commutes to and from the Lower Mainland on BC Ferries. However, a Groupon that my partner and I spotted late last year changed all that. For $100, we were able to purchase $200 worth of credit from Harbour Air Seaplanes to be used for tickets, merchandise or whatever we chose. As luck would have it, we were due back in Vancouver for a trip to see family as catch the Behind the Myths Tour, which I’ll be talking about in the next post. So we decided that we would take the ferry there, but fly back. I’d never flown Harbour Air before, but I’d heard from others about how fast seaplanes were, but that you also had to be willing to pay the extra price for quick travel. The Groupon gave us the best deal I’d ever encountered with travel, we only ended up paying $45 out of pocket for the one-way trip for both of us. And what a trip it was! Although the smaller plane made much more noise than I’m used to with planes and you can feel more of the turbulence when the wind hit, the view was incredible. Seeing Canada Place, the Convention Centre and the downtown core from a bird’s eye view as we were taking off was definitely something to behold, even though it was cloudy as we left Vancouver. It was a view I would never forget. The view was completely white at times as the plane flew through the clouds. When the plane broke through the clouds though, the result was an absolutely gorgeous view of the sunny blue sky and the sun glistening off the water. As we got closer to Victoria’s Inner Harbour, the view of the golf courses, Dallas Road and Ogden Point was even more breathtaking. It was sunny in Victoria which somehow made the view even more spectacular. As we landed in the heart of the Inner Harbour, the landing was also nothing like what I’d expected. I’d expected a bumpy landing like a plane landing on the tarmac, instead the landing was so smooth I barely felt it and it was all over in just over half an hour! For anyone looking for a faster way to travel as well as great scenery, I’d definitely recommend Harbour Air Seaplanes. Take advantage of their web saver rates as well as other discounts and next time, you can travel from the Inner Habour to Coal Harbour in less than 45 minutes!